Ah, lie-ins. A long and distant memory, as I'm sure they are for many mums and dads. But bed is still one of my favourite places to be and if I can keep myself nice and snug in bed, without work or household chores calling me up and out, then I will. Just bring me a mug of tea. I'd prop myself up on some pillows, turn on my iPad and catch up with what's going on over on Facebook and Instagram, catch up on some of my favourite blogs and just generally ease into my day. It could only be made better by the addition of these two. 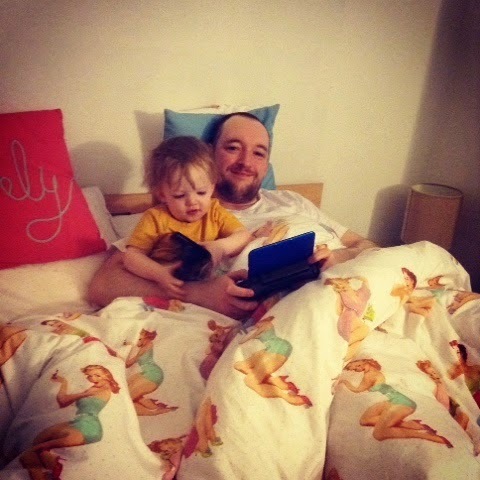 Hubs on his handheld games console thing (don't ask me what it's called, he has so many of them) and Ethan taking over my iPad to watch Pumble (Mr Tumble) or Choo Choo (Thomas the Tank Engine). 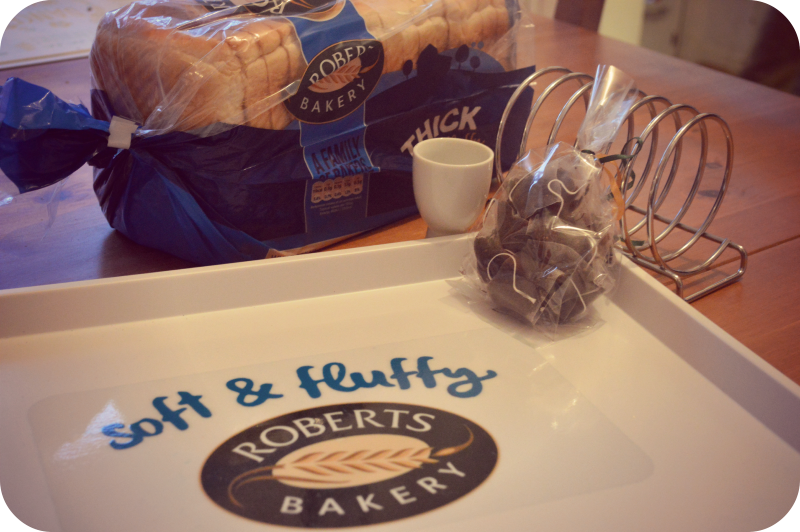 This is my idea of the perfect lie in and Roberts Bakery has shared their ideas for treating yourself or someone special to breakfast in bed (along with a rather tasty loaf of their Soft & Fluffy bread, which lasted about two minutes in our house). Why wait for a special occassion or Mother's Day to come around again before enjoying a bit longer in the morning in bed? Why don't we put ourselves first? #SilentSunday - happy Mother's Day #2 to me!